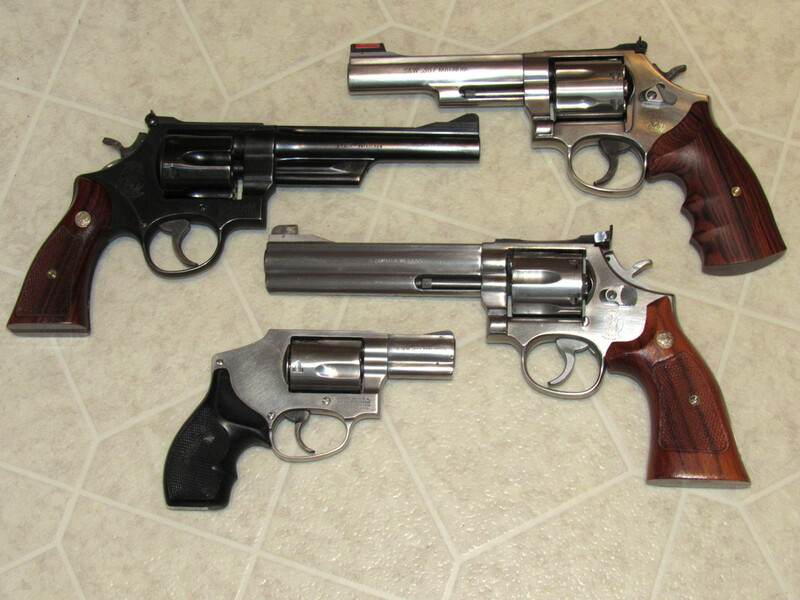 A 640-1, 28-2, a limited edition (less than 400 made) 686-6 on top and the 686. I haven't shot the 686 yet but i am looking forward to it. Make it 5. 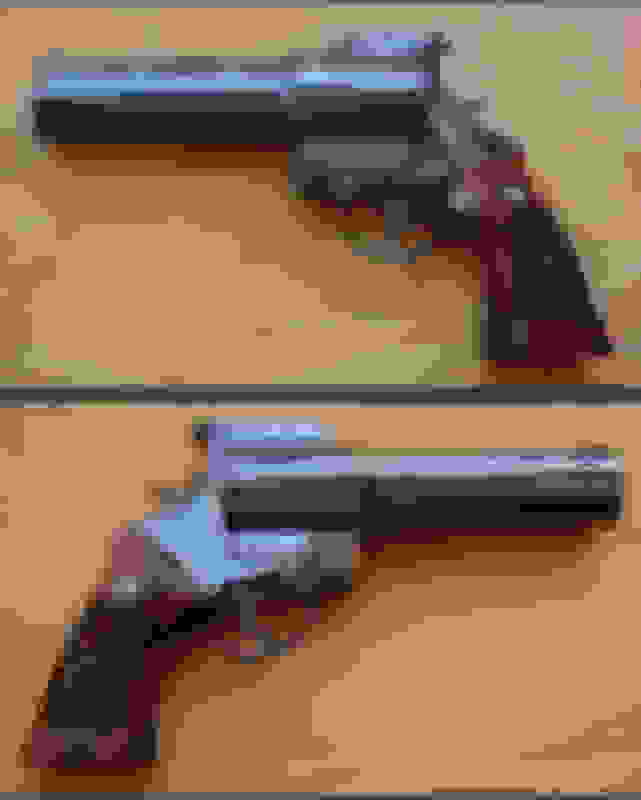 I just picked up a S&W 27-7 with the 6.5" barrel. It is an 8 shot made for Bangers Dist. in the year 2000. They made 100 4" barrels and 100 6-1/2" barrels. I liked this one before I knew what it was. I did know it was a .357 and that was about it. I just liked the looks of it and I liked holding in in my hands. Had no idea they only made 100 of them. Looking forward to slinging some lead with it. Nice looking piece but a bit long for my taste. A 6-1/2" barrel on a magnum revolver is as about the same length from the breech face to the muzzle as an 8" barrel on a semi-auto. The link takes me to a page of "made 100" at amazon.com with everything except guns. The link takes me to a page of "made 100" at amazon.com with everything except guns. Sorry about the link - that was unintentional and for some reason they wont allow me to edit it. I like 6" on revolvers. They never will be a personal carry handguns - just for plinking. I'm thinking about seeing if Rocket Man would like to make me an offer on this one. WTF??? Every line throwing gun I ever saw pictures of was a long gun, like a 12 gauge or .45-70. That looks like a flare gun. 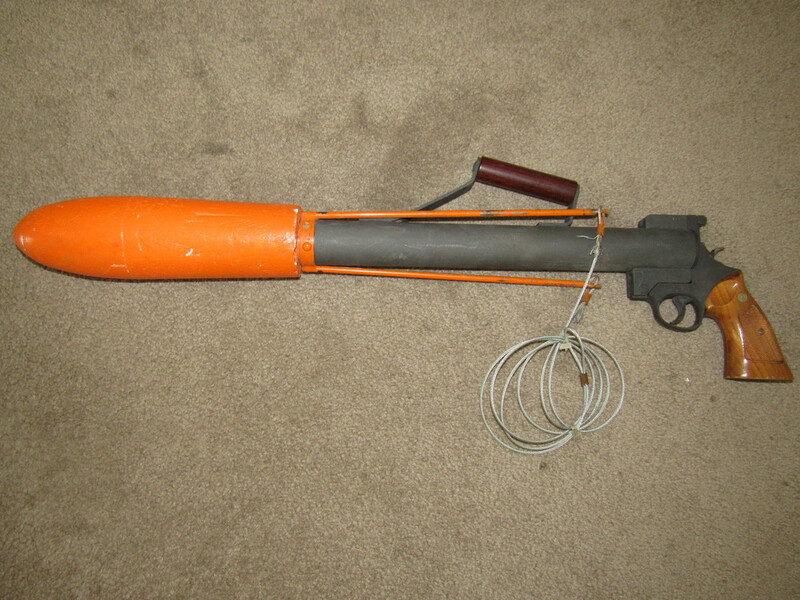 Its a line gun. It uses 12g for the propellant. I would have sworn that was bigger than a 12 gauge. I thought it was 26.5mm flare gun, possibly even bigger. 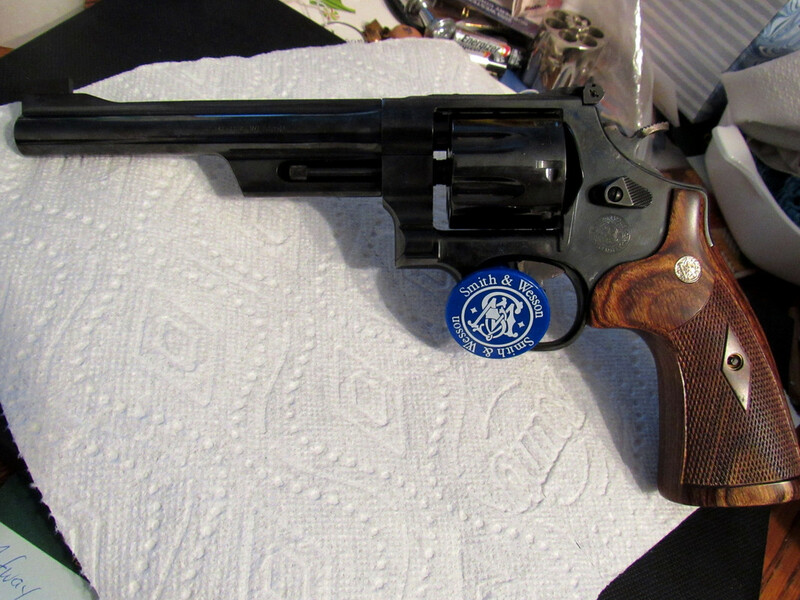 It looks a whole lot like this S&W 37mm. It is larger than a 12 gauge - it just uses a 12g cartridge for the fire power.